The IWA Performance Indicator System for water services is now recognized as a worldwide reference. Since it first appearance in 2000, the system has been widely quoted, adapted and used in a large number of projects both for internal performance assessment and metric benchmarking. Water professionals have benefited from a coherent and flexible system, with precise and detailed definitions that in many cases have become a standard. The system has proven to be adaptable and it has been used in very different contexts for diverse purposes. The Performance Indicators System can be used in any organization regardless of its size, nature (public, private, etc.) or degree of complexity and development. 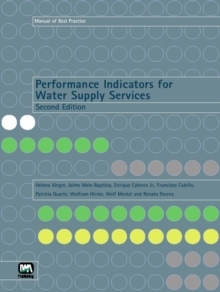 The second edition of Performance Indicators for Water Supply Services represents a further improvement of the original manual. It contains a reviewed and consolidated version of the indicators, resulting from the real needs of water companies worldwide that were expressed during the extensive field testing of the original system. The indicators now properly cover bulk distribution and the needs of developing countries, and all definitions have been thoroughly revised. The confidence grading scheme has been simplified and the procedure to assess the results- uncertainty has been significantly enhanced. In addition to the updated contents of the original edition, a large part of the manual is now devoted to the practical application of the system. Complete with simplified step-by-step implementation procedures and case studies, the manual provides guidelines on how to adapt the IWA concepts and indicators to specific contexts and objectives. The manual includes a new version of the software Sigma Lite incorporating all the new developments and an improved graphical user interface. 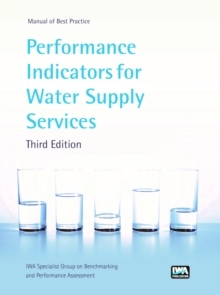 This new edition of Performance Indicators for Water Supply Services will be an invaluable reference source for all those concerned with managing the performance of the water supply industry, including those in the water utilities as well as regulators, policy-makers and financial agencies.